Plastic Services & Equipment’s proprietary tool steel that has been formulated for high wear conditions where cost is still a significant factor. This tool steel has the ability to process high loads of carbon and glass fiber reinforcement over a life-time that exceeds all 4140, H-13, D-2 and Cru-Wear tool steels. There is no screw on the market that provides so much performance for so little money. Another of PS&E’s proprietary tool steel formulations that includes surface treatments to create a screw that will withstand almost any application and process. The Glass Master™ II is specifically designed for ultra-high wear applications where glass fiber and fillers exceed 30% of the volume processed. 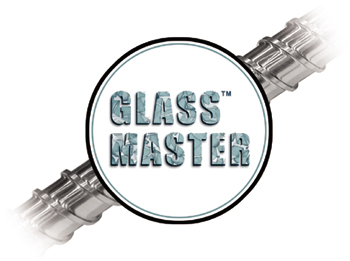 If you are currently having problems with short life spans of CPM-9V or other high wear steels and surface treatments, Glass Master™ III is your best solution. We're so confident in these screws that PS&E carries a three-year prorated warranty* against excessive wear. * If a Glass Master™ III screw wears more than 0.010" in the first 18 months, we will recondition it to OEM specifications at no cost to you. In the second 18 months of the warranty, a prorated value will be applied against the purchase of a replacement screw. For price quotation and delivery - click on the Quick Quote link below and complete the following form, or call us with the machine make and basic dimensions of the screw. It's quick and convenient, so request a Quick Quote today!